Here’s another fleet owner’s way to switch over to electricity — the Workhorse N-GEN, which our own Steve Hanley covered recently here. 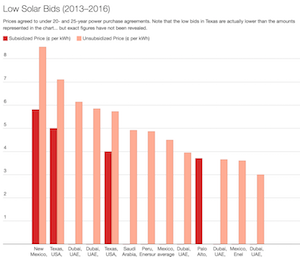 When it comes to electric options, better options, 2017 has also been good to fleet owners. They haven’t been left alone and new players have jumped into the market, such as the revolutionary Chanje platform, helping them to switch over to electricity. After exploring Chanje, I wanted to dive into another workhorse — pun intended — the Workhorse N-GEN.
Workhorse caught our attention a while back as soon as we saw the lineup of plug-in hybrids (PHEV) and electric vehicles (EV) the company has to offer. There’s even a helicopter! 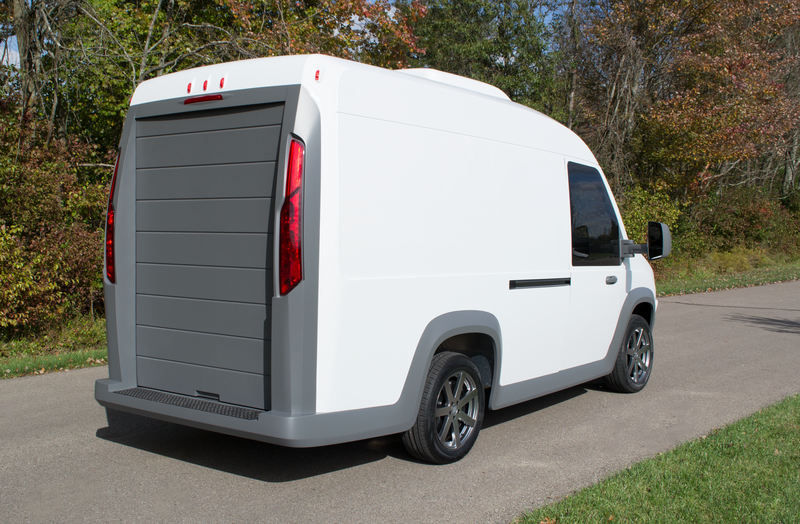 The N-GEN is designed from the ground up as an electric last-mile delivery vehicle. What is particularly attractive to fleet owners is its ultra-low floor, which maximizes its cargo space. The company adds that it will take a load off a driver’s knees and back. The N-GEN also packs advanced telematics and collision avoidance systems to make it easier to drive around town. As far as range, it boasts a healthy 100 miles of all-electric range. 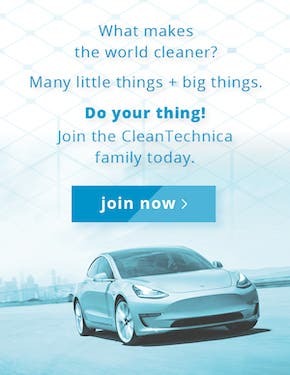 And in case that isn’t enough, an optional range extender is available. 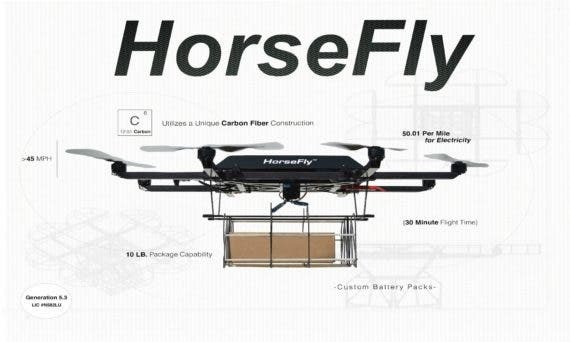 But the truly eyebrow-raising part is that an unmanned package delivery drone called the HorseFly can be ordered. 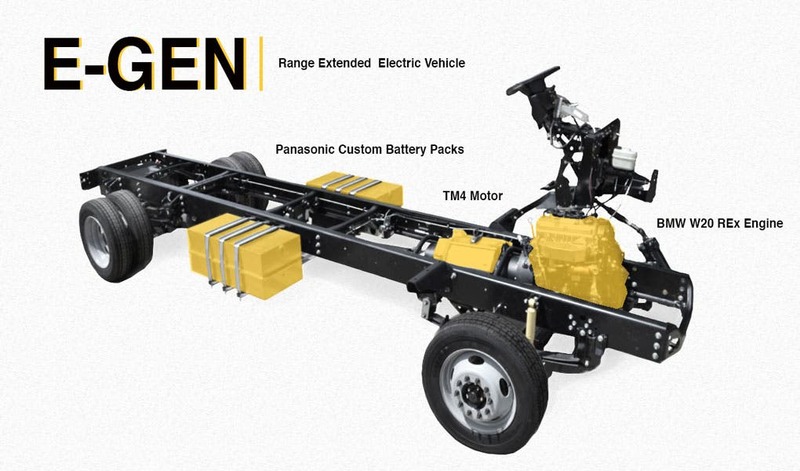 The N-GEN2 sits on an all-wheel drive platform that offers a 26-foot turning radius. The company uses its Workhorse Metron telematics system to track all van parameters to optimize performance and efficiency. 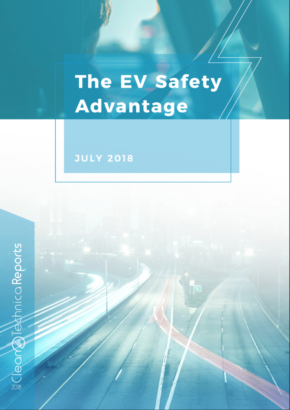 One thing is clear: electric delivery vehicle startups aren’t just electrifying vehicles; they’re also innovating like heck to improve fleet operations. We saw it with Chanje in certain ways and we’re seeing it with Workhorse in other ways. Unfortunately, the website doesn’t give much on specifications on this vehicle. We are waiting on the company to return our email to find out more. 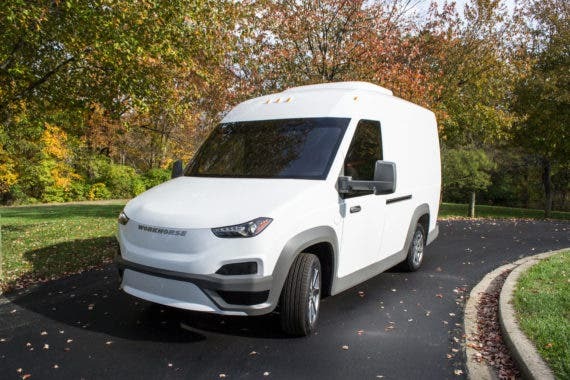 As mentioned above, Workhorse also offers a few other vehicles, including the E-GEN, which is a plug-in hybrid electric truck. It gives fleet owners an electric range of 60 miles and a further 60 miles in hybrid mode. The eye-catching part is that Workhorse uses BMW’s i3 REx 647 cc two-cylinder Motard engine. It kicks in automatically when the battery level is depleted and only acts as a generator for electricity. It uses Panasonic batteries. But if four wheels isn’t your thing and you prefer air travel, Workhorse’s SureFly helicopter is a hybrid electric, 8-motor, drone-like configuration using carbon fiber contra-rotating blades. Each arm has two motors, each driving a single propeller. It is designed to carry a pilot and passenger or cargo with a curb weight of 1100 pounds. Its maximum takeoff weight is set at 1500 pounds. It packs two lithium battery packs, each rated at 7.5 kWh. Interestingly enough, in case of an emergency, the battery packs handle enough landing power for 5 minutes. 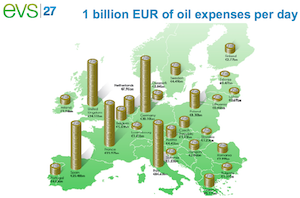 This is particularly interesting since until now, gasoline engines have been used for such emergencies. Workhorse relies on the battery to handle that. Security wise, there is a ballistic parachute and the fuselage is also made of carbon fiber. Its top speed is 70 mph and it can fly for an hour per tank of gasoline and reach a ceiling of 4000 feet. There is also a PHEV pickup truck the company says it designed from the ground up as well. It’s called the W-15 Electric Pickup. Back to the top, the Workhorse N-Gen2 will be unveiled at the CES 2018 show in Las Vegas, so stay tuned. You can follow Workhorse online on Facebook, Twitter, YouTube, and Instagram.